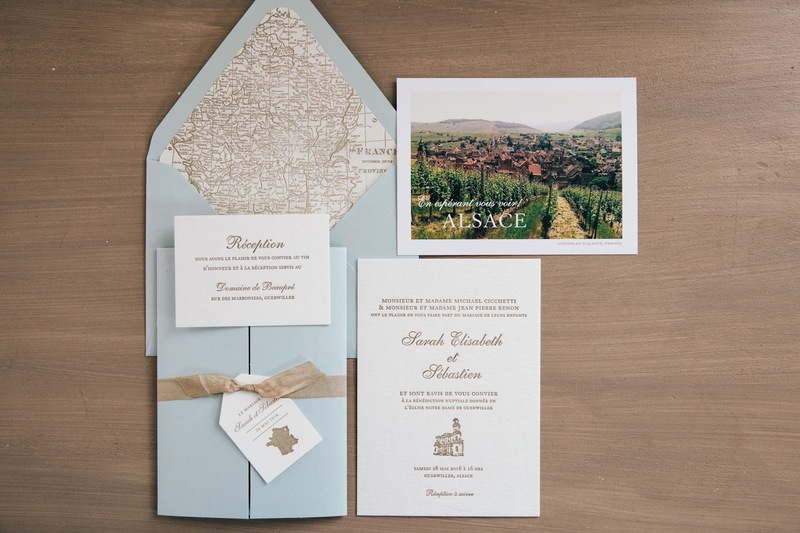 Sweetly Said created letterpress wedding invitations for the sweetest bride, Sarah, using photos from her trip to Alsace, France to sketch the church for the invitation card and a vintage style postcard for the reply, which we combined with a letterpress map envelope liner and gatefold tied with a luggage tag. 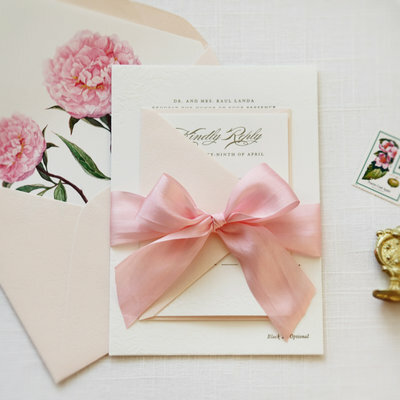 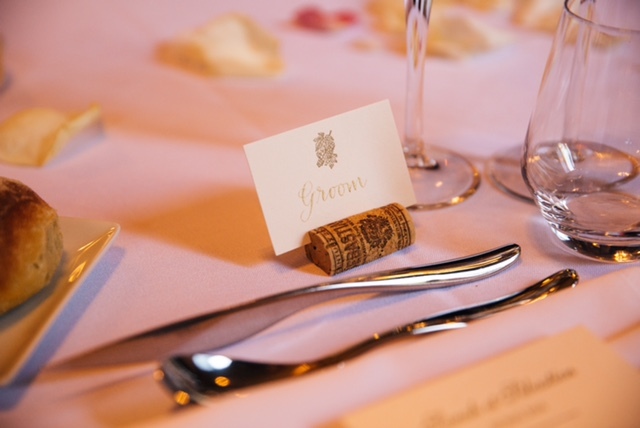 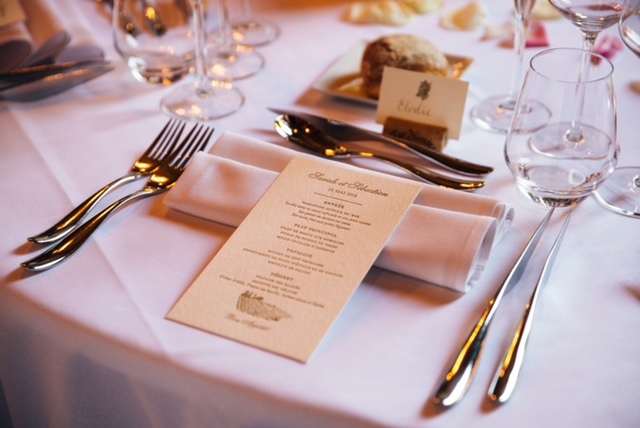 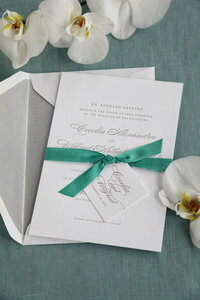 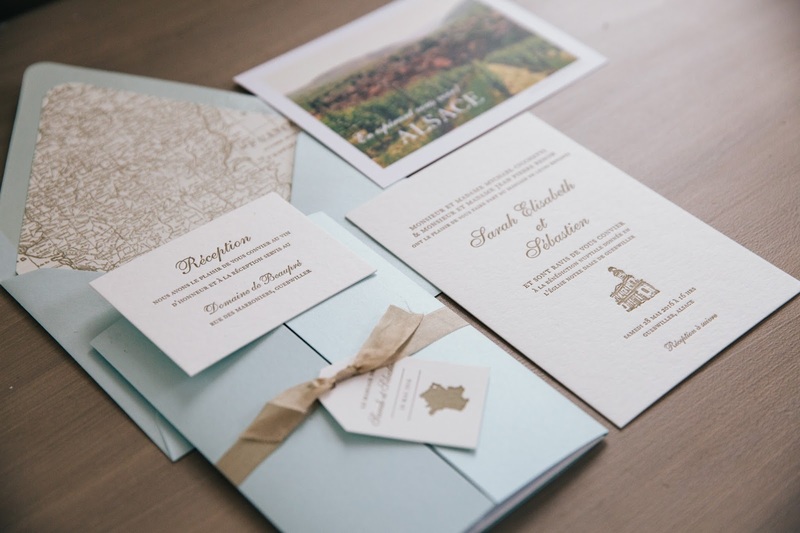 The invitation and menu are printed on Wild 166# paper with Aquamarine envelopes and gatefold. 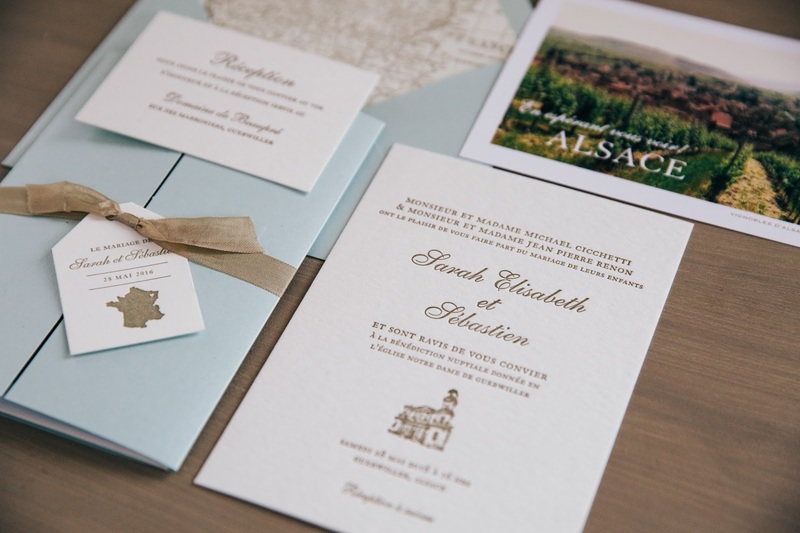 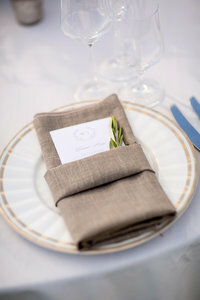 We also did an lavender theme invitation suite for Sarah and Sebastien for their reception in Connecticut.